Orange EV is one of a handful of leading technology firms selected to exhibit at the upcoming Climate Technology Marketplace in San Francisco. At the September 13th event, we will display an Orange EV terminal truck, still the only 100% battery-electric Class 8 truck commercially deployed and reordered into cargo handling operations. 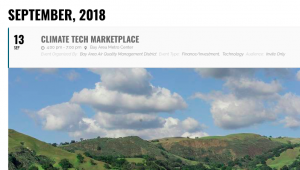 Climate Technology Marketplace. An affiliate event with the 2018 Global Climate Action Summit. 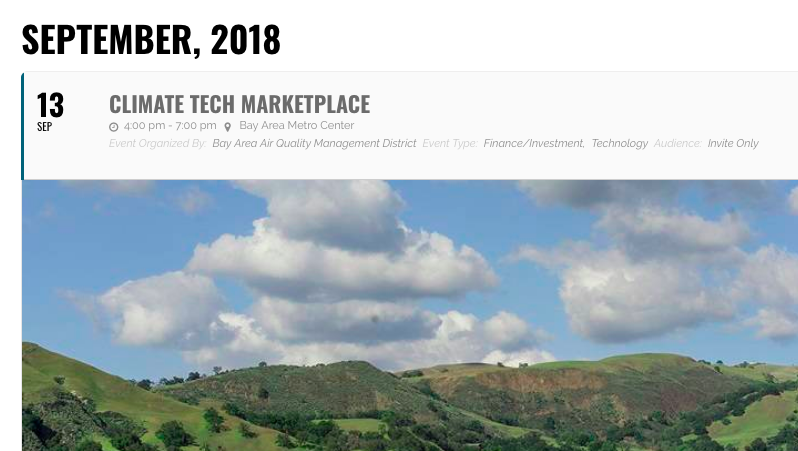 The Bay Area Air Quality Management District is hosting an expo and networking event to connect climate technologies with potential customers. This event will showcase emerging climate technologies for the commercial, industrial, and transportation sectors. Orange EV is thrilled to be invited to exhibit and appreciates the opportunity to share both the reality and potential of Class 8 battery-electric trucks. Commercially deployed since 2015, Kansas City-based Orange EV is the leading OEM providing industrial fleets with heavy duty electric vehicle solutions that are proven to save money while being safer, more reliable, and preferred by drivers and management alike. Orange EV trucks meet the most rigorous duty cycles and 24×7 shift schedules while eliminating diesel fuel and emissions. Please join us – and see one of our trucks! – at the Climate Tech Marketplace on September 13th.